Fifteen years later, it appears that Cimex lectularius is back with us to stay, after two generations of Americans grew up knowing little of the subject of the bedtime rhyme. We have much to learn from our grandparents’ and great-grandparents’ generations, including many ingenious—and laborious—techniques for avoiding and controlling bedbugs. However, I am more interested in what bedbug histories reveal about our relationships with fellow humans and with all of nature—social and environmental lessons for living with bedbugs and other creatures we call pests. 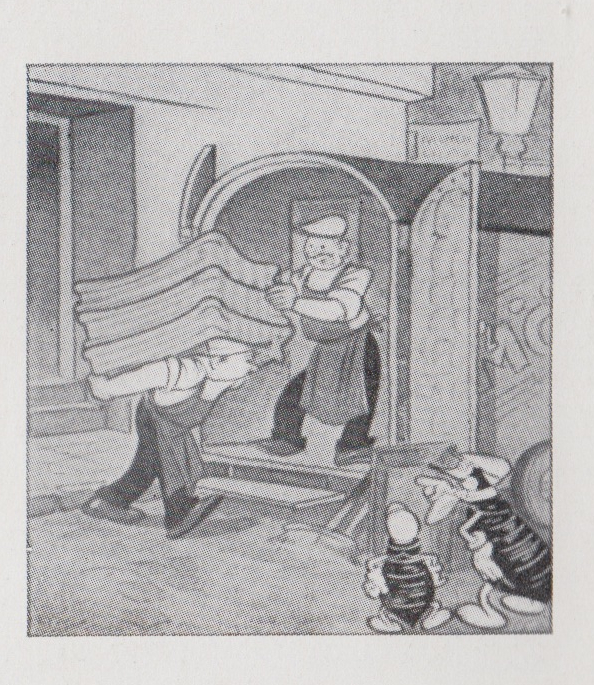 First, some of our progressive forebears realized that bedbugs were creatures of community and supported collective management strategies as part of a broader healthy housing agenda. In 1938, Chicago public housing manager Sherman Aldrich understood that the low-income families moving into his gleaming, new buildings could not afford effective extermination and were therefore “not to be held responsible for the verminous state of their houses.” Yet if just one new tenant—perhaps fearful of stigma and reprisal—brought in bedbugs from their old home and failed to report it, the bugs could spread rapidly from unit to unit, bringing sleepless nights, despair, and paranoia to the entire community. Judging from some recent legislation about bedbugs, we are beginning to learn this lesson, but we still have some work to do. A new law in New Hampshire requires landlords to pay for initial bedbug treatments, helping expedite a community response. But another provision allows landlords to pass along the charges for treating a unit to a tenant deemed responsible for the infestation. This could encourage residents in multifamily housing to hide bedbug problems, as a tenant might be deemed responsible simply because she was the first or only one to report the problem. Second, the bedbugs that have returned have changed. 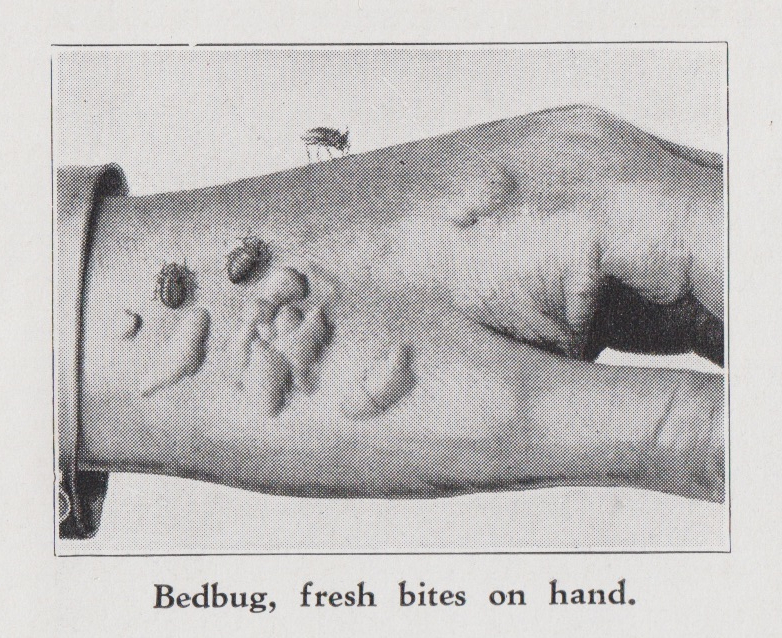 Americans’ practices in our domestic ecosystems reshaped the very genetic makeup of bedbugs as well as other vermin. We might celebrate the success of the pesticide DDT in ridding homes of bedbugs in the 1950s, but resistant bugs appeared that very decade, often among people struggling with unstable and substandard housing conditions. This means that while we should hold onto the collective and destigmatizing aspects of Sherman Aldrich’s bedbug management scheme, we cannot cling to solely chemical solutions. Furthermore, it reminds us that even modern technologies like pesticides cannot separate our homes from nature and changing urban ecosystems. Third, all of our homes are part of the urban ecosystem, but some of us have more resources to manage or control our piece of that ecosystem than others. Media coverage of outbreaks in luxury hotels, limousines, and boutiques seem to suggest that bedbugs are great equalizers, and it is true that bugs have no preference for the blood of any social class. But scandal and schadenfreude distract us from persistent issues of environmental injustice, housing access, and housing quality that shape the broader distribution of bedbugs. Around the turn of the twentieth century, the most affluent Americans were the first city-dwellers to bring bedbug infestations under control. They achieved near freedom from bugs by hiring household staff to toil away, cleaning up bugs and their eggs and discreetly containing new outbreaks. Low-income residents could not afford housekeepers or new, effective—and dangerous—chemical treatments, so they poured their own time and sweat into killing bugs as well as they could. Surrounded by other struggling families, they faced a high risk of reintroduction. Such is the case with today’s bedbug resurgence—wealthier families harness their assets to pay for the most effective treatments, while poorer bedbug hosts suffer bites and sleepless nights. Taken together, these lessons speak to the political nature of bedbug infestation. Reformers once hoped that progressive housing policies would protect vulnerable communities from homes that harbored bedbugs and other health hazards. Yet, much low-income housing today remains unhealthy for lack of public support for reinvestment and code enforcement. In the absence of such support, reliance upon pesticide technologies to rid homes of unwanted creatures backfired. Bedbugs occupy the niches created by inequality and denial of nature. Acknowledging that our homes are both natural and social might be the first step in helping communities manage the bug that’s here to stay. Dawn Day Biehler is assistant professor of geography and environmental studies at the University of Maryland, Baltimore County. She lives with her family in Washington, D.C.